We have all been made aware of Wal-Mart's grocery pick up by now. You have undoubtedly had friends that have touted the service over and over again on social media and might have even received a coupon or 2 by email. How can you say no to such convenience? You literally order everything you need as you are going through your refrigerator and pantry with a simple click of a button. You then select a pick up time, pay, and pull into the orange parking place at your selected time and location. Honestly, where was all of this when my children were babies? For one, Super 1 Foods is a local store. The grocery company of Brookshire's Grocery Company owns Super 1 Foods as well and has their corporate offices right here in Tyler, TX. If I can shop local - I do! Next, my biggest pet peeve with ordering from Wal-Mart was the constant substitutions. They didn't have strawberry yogurt, so they put in peach yogurt. They didn't have cheddar cheese slices so they put in Colby jack slices. "Is that okay? If not, I'll have to refund your money and go through that entire process." Ugh. Super 1 Foods has an option for you to check if you will allow substitutions - if you don't, then you don't get that item. Personally, I would rather not get the item than waste money on an item that my kids won't eat, or waste time getting a refund with time I don't have - that's why I'm ordering online! The absolute best part of the process at Super 1 Foods was the fact that the second my order began to be worked on I got a text from the worker at the store who was personally pulling my items. She was in communication with me directly, and it was NOT an automated service that was texting me generic stuff. How do I know? It turned out that the frozen pizzas I ordered (don't judge-you know you feed your kids those too!) did not come in one of the toppings I had requested. She double checked with me to see if I wanted another option or none at all. I ended up getting 2 of the same kind of topping instead of 2 different ones, but at least I knew those were going to be there for a rushed night of needing to feed the kids something easy. Had she not checked, I would have ended up with only one pizza to feed 5 people - and that just doesn't work in our house! I texted the worker at the store the second I pulled into the yellow spaces, and she brought my groceries out immediately, and even had a gift bag full of free items for it being our first time ordering. Overall, I was very impressed with the service provided. When we got home, we had ordered fruit and vegetables to see how they were at picking these items (I never order fruits or vegetables from Wal-Mart because they seem to pick the worst ones). ALL of the fruits and vegetables looked very good, and the cantaloupe we got was probably the freshest and best tasting cantaloupe I have ever cut up - I obviously need a lesson in picking cantaloupe out! There are a couple of draw backs to ordering from Super 1 Foods. One is the lack of additional items. With Wal-Mart, you can order all of your shampoo, laundry detergent, etc. 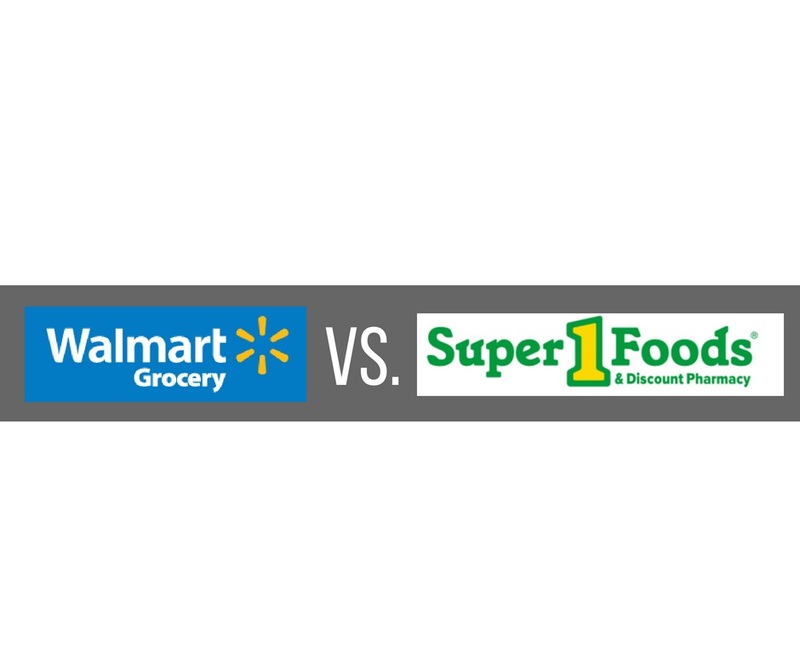 While you can order some of those types of items from Super 1 Foods, they do not have the variety for you to select from like Wal-Mart does. There is also currently only one Super 1 Foods location providing the grocery pick up. So, unless you live close to the Centennial Parkway location, its not as convenient as one of the many Wal-Mart stores throughout the Tyler area. For now, I will definitely keep using Super 1 Foods Grocery Pick Up because of their commitment to provide great individualized customer service, convenience, quality items, and amazing communication. We will always have a need for Wal-Mart and all of the variety they are able to provide for us, but local stores and quality customer service will win out time and again in my book! I live, work and volunteer in the Tyler and Whitehouse areas. I know what it's like to be your neighbor, shop at your same stores, drive your same streets, be involved in your same communities. If you are looking for a Realtor who is real, knowledgeable about your area, and will work hard to make sure that your needs as the client are always first, then contact me! I look forward to seeing you around town, at the kid's school, or even in the neighborhood! Let's get started TODAY!